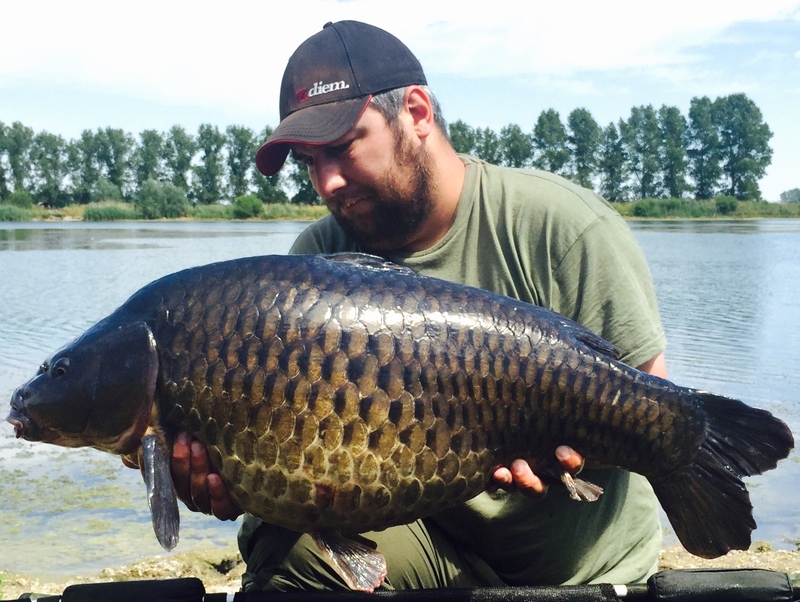 Since 2011 we have been introducing some very special fish into the Big Lake, 107 to be exact. All the stockies are the sought after Frontfish strain, either direct from the carp farm in Devon or ones we have specifically grown on in the stock ponds. There are a great variety of scale patterns present including plenty of fully scaled, leathers, zip linears and a few specials. They’ve not just been hand-picked for there good looks though with every single one of them being selected from the fastest growers of their year class. Whether 3lb or 30lb when stocked they have the all important genetics to grow on to huge proportions. So far they have done very well, and long may it continue!!!. Set well off the beaten track nestled in the Essex farmland sits the impressive Big Lake at Stanford Hall. The lake of over 5 acres was dug 30 years ago for gravel extraction and as an irrigation reservoir. 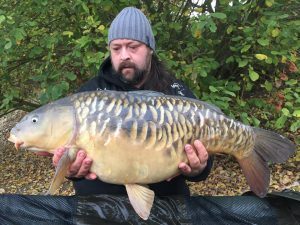 With depths of up to 26 foot in places with a large island the carp have plenty of room to grow and have thrived in the fisheries rich waters. When we first took on the venue we were told there wasn’t any carp in the lake. In fact we found there were a head of commons to 26-08 and also a large number of koi to 20lb plus. There is a lump of a koi in there that gets spotted all the time which the members have called “The Bulldozer”. So far it has yet to grace the bank, but it will be very interesting to see what it actually weighs if it eventually gets caught.